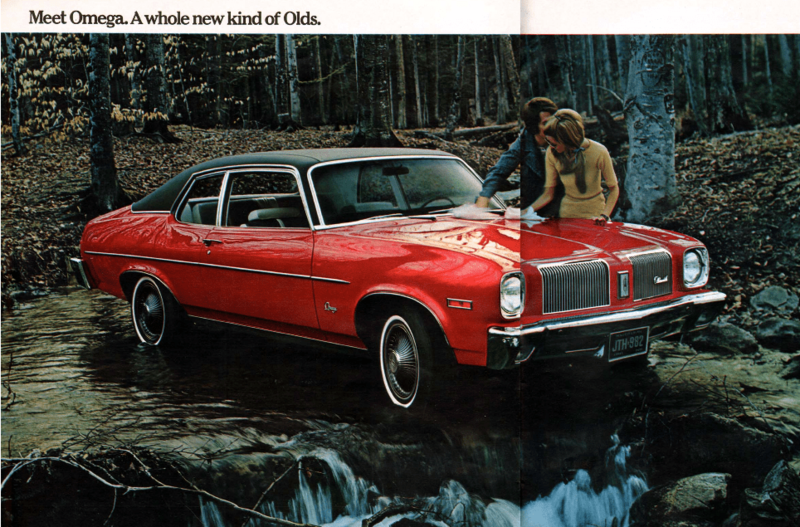 (first posted 10/16/2012) As if Oldsmobile wasn’t already selling enough Cutlasses in the ’70’s, someone at GM must have felt that the brand needed a smaller car that would bolster both their sales and EPA ratings. In what would later become a hallmark of GM engineering, Oldsmobile followed Pontiac’s pioneering badge-engineering of the Chevy Nova, added a few unique trim pieces and thus made an “upscale” smaller car. I find it hard to believe that any vehicle with a standard inline six and three speed manual transmission could be considered “upscale”, but people must have bought them on their badges alone. 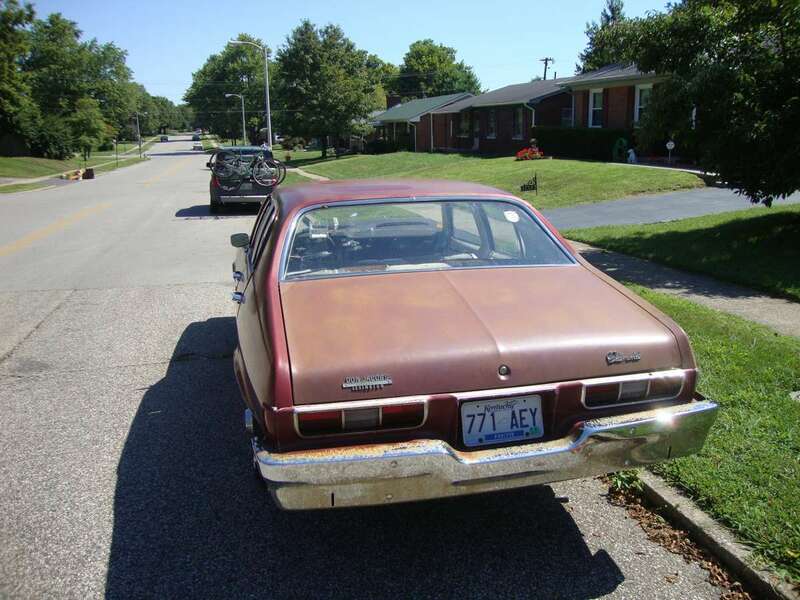 This particular example (complete with a lovely patina) was found on the streets of Lexington, KY. Could it be anything else but a mid-70s X-body, given that not much was (or could be) done to change the Nova’s chunky C-pillar shape? At this point, at least Cadillac was spared having one of these shoved down their dealerships. From this angle it doesn’t look half bad. If you squint, you can even see hints of the ’73 Cutlass that was just around the corner. Behind this grille you might have found a Chevrolet-sourced inline six, rated at an even 100 hp, or an upgraded Olds 350 with a healthy 180 bhp. If you coupled the latter engine with the four-speed, you might have had a somewhat interesting ride. The evenly spaced vertical bars mark this as a ’73. Prior to a significant 1976 refresh, the Omega’s biggest annual change was a different grille. They had to change something, so what better? Rust can appear even in Kentucky, although I’m not sure if that speaks more to weather conditions in the upper South or GM’s build quality. 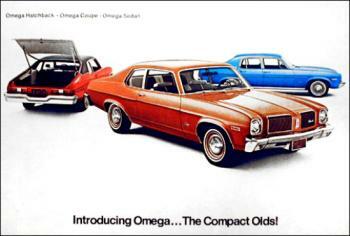 You could have your 1973 Omega in one of three styles: a two-door coupe, four-door sedan, or two-door hatchback. This one’s a top-of-the-line four-door sedan. It’s surprising that this four-door Oldsmobile was the poorest-selling model of the three, with about half the sales volume of the two-doors. It was the ’70s; as Olds knew all too well, coupes reigned Supreme. Hatchbacks were hot, and that helped the Omega’s popularity. 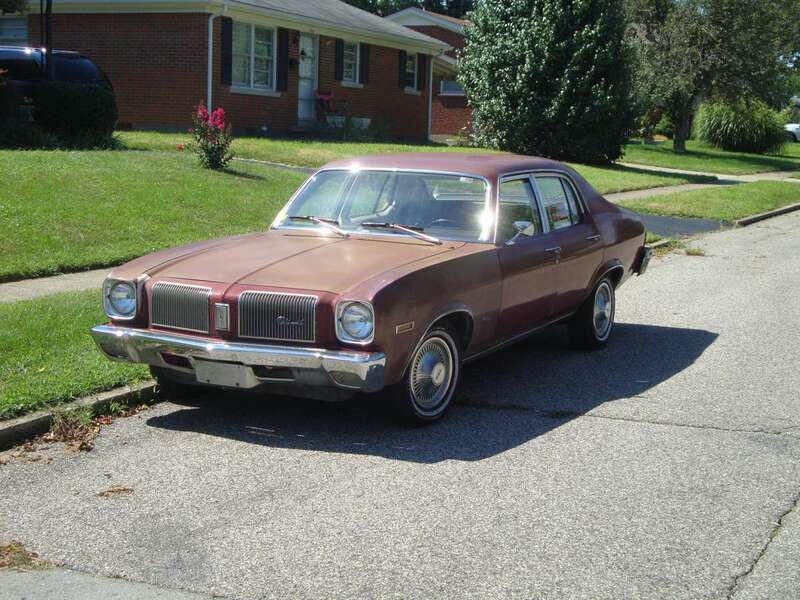 The Omegas gave Olds things the Cutlass line lacked, including a six, a lower price and a hatchback. No wonder the frumpy sedan didn’t sell well. 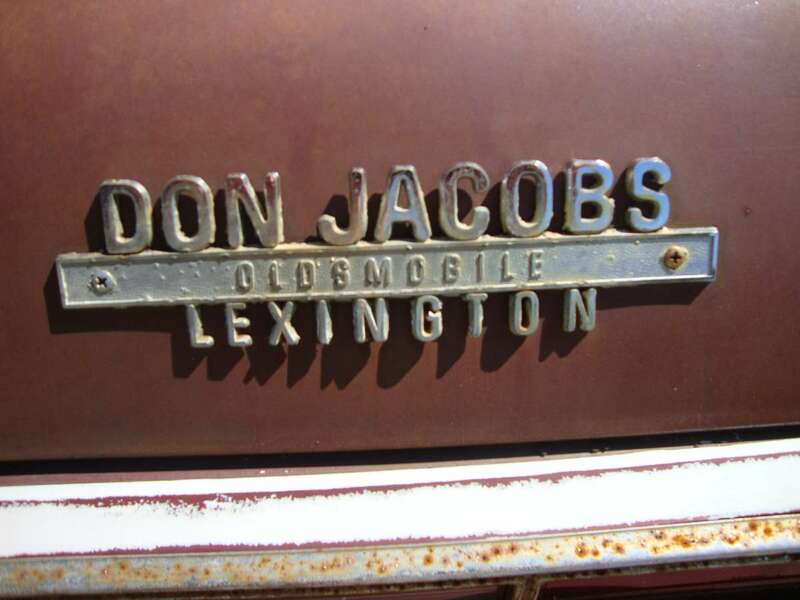 Don Jacobs is still in business, although (as you would correctly surmise) they’re no longer selling Oldsmobiles–only Volkswagens and Hondas. Good choices. A couple of interesting Omega links: The Omega Owners Registry, based on a Pontiac Ventura site, www.pontiacventura.com ; and webspace.webring.com/people/sn/novaessess/SSomega.htm , if you’d like to see a few original Omega advertisements. See, “shoved down their throats” implies that the corporation imposed these cars on the divisions, and I’m really not sure that was the case. I suspect for Olds, Pontiac, and Buick, it was a matter of dealers wanting a compact to sell and the X-body being the most expedient response. The Seville was sort of a different story, but it also differed considerably more from the Nova than the Omega, Ventura II, or Apollo did. Yes, IIRC, these cars, and generations of smaller BOP cars yet to come, were in response to dealers griping that they didn’t have any product in this size. The cars were mainly an effort to cut off the grief the division execs were getting at every Dealer Council meeting. The Seville shell would have been more appropriate for an Olds or a Buick, as they traditionally used a different (bigger) shell to the Chevy or Pontiac. And the Seville already used an Olds engine anyway. The C-pillar/sloping trunk area of the subject car was way dated by the time this came out – made it look like a ’68-72 intermediate that shrunk in the wash, not a new car. I’d kinda like to see an Oldsmobilized Seville, just to think of what could have been. 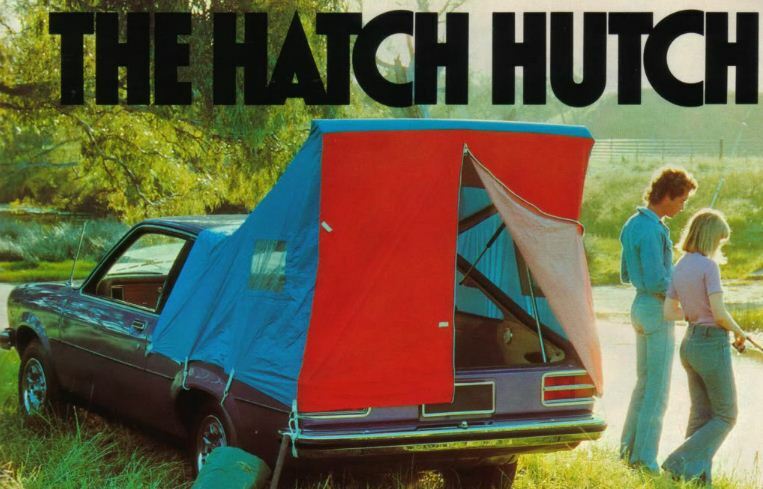 One interesting thing about these is that a tent was available for the hatchbacks. 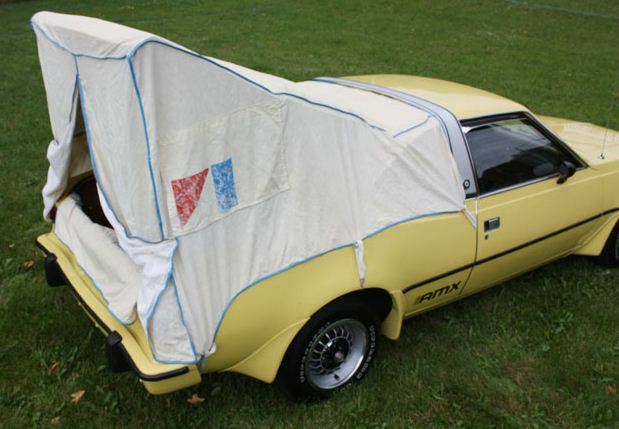 Seems like a nifty idea, and was used again on the ill-fated Pontiac Aztek. Also, I wanted to point out that the major refresh on these X-bodies was in 1975 (not 1976) with all new greenhouses and (I think) sheet metal. 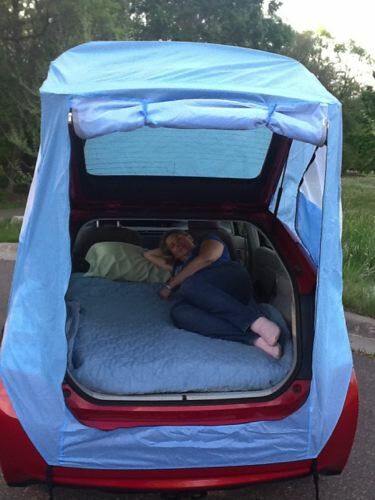 You can get a hatchback tent for the Prius, which actually looks pretty practical. Toyota now makes an Aztek version of the Prius? Walter in ‘Breaking Bad’ drives an Aztek! These are quite rare today. I don’t believe I’ve even seen one at a car show. If I recall correctly, this car was the result of dealer complaints regarding the elimination of the six-cylinder engine in the 1972 F-85, followed by the elimination of the F-85 itself for 1973, as much as anything else. The dealers wanted a car that could be advertised at a low price to get people to the showrooms. Of course, once there, the salesmen would undoubtedly try to “upsell” the potential customer to a Cutlass (just as, in 1972, they would have tried to “upsell” someone seeking a six-cylinder F-85 to a Cutlass with a Rocket V-8). The rear-wheel-drive Omega was pretty much an also-ran throughout the 1970s. Most people shopping at an Oldsmobile dealer did not want a compact. People shopping for compacts, by and large, did not visit their Oldsmobile dealer. Another case of insipid badge engineering from General Motors and a foretaste of what would become of the company’s products in the late ’70’s and beyond. Outside of a mildly restyled front and rear end these things screamed Chevrolet Nova no matter how you looked at it. 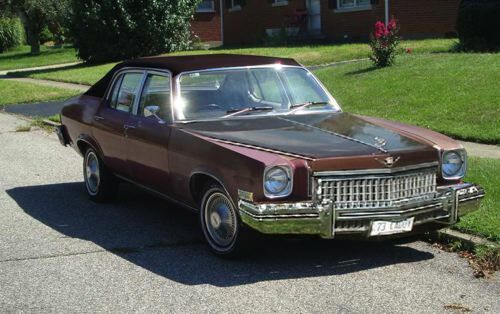 Even the interiors were virtually identical…my dad owned a ’73 Ventura–it was a piece of junk–a poor paint job, water leaks in the trunk galore. After my father died, I drove it briefly, by then it was starting to rust and on a good day it got all of 13 mpg–then I sold it. I was not sad to see it go. All in all, not one of GM’s greatest achievements. I just can’t say anything bad about this car other than the gargantuan rear bumper. I find the ’73 front end to be quite attractive: its bumper doesn’t overpower the styling quite as much as the Nova. I can’t call this version a deadly sin because the V8 cars had Oldsmobile-sourced 350s — fantastic durable engines! Cars in this condition are always my favorite — you just can’t fake “the real” quality here. Crazy as it may sound, I would not touch a thing on the body but it would be stored inside — its skin cancer will eventually reach the point of no return if left outside much longer. Like the wheelcovers. Contrare . . . these X bodies MOST DEFINITELY WERE NOT a GM deadly sin. For the most part, these were very reliable cars, and like any 70s cars . . .foreign or domestic . . . they had some bugaboos, albeit small and not on the scale of ’76 or ’77 Plymouth Volare/Dodge Aspens. I do know that dealers outside Chevy wanted these cars – some diverse models to sell – hence the badge engineering. There was a difference – the Omega was a slightly sporty version of the X body, offering “wet look” vinyl seat bolsters and houndstooth pattern cloth seat inserts – a distinctive “Oldsmobile” grille and, like the early Buick Apollo and current Ventura, although a Chevy Six was standard, the Omega (and Pontiac Ventura and Buick Apollo/Skylark) did offer their own divisional V-8s (although the Pontiac Ventura II when initially offered in ’71 used a Chevy 307 2-bbl). My ’78 Skylark sedan as a 231 V-6 (first year even firing 231/3.8L) . . . . and ran great all the way through 212K to where I sold it to a young family struggling to get a family car. For it’s day, I think the inter-divisional X bodies were a good idea. The thing to do, then, if the dealers wanted compacts…was to let them host more than one brand. As they now do. You wanna compact? Great; over in this corner we have the Chevrolet lineup. You want ostentation? On the far side, we have the Cadillacs. We keep them far apart to prevent cooties and avoid the halitosis. Not quite that easy. Franchise laws differ from state to state. GM couldn’t add extra outlets for different brands in certain areas without running afoul of those franchise laws. Since GM had the sharpest divisional setup and the most single brand dealerships, their only way to ensure those single brand dealerships remained viable businesses was to give them a the same product slightly differentiated and renamed. The trend away from one standard car per brand meant the GM sales model had to change. Yet as an independent business owner, dealers had to defend the status quo and resist franchise law changes or see their own businesses victimized by the changing market. Today we see badge engineered cars and wonder how smart people could be so stupid. Yet at the time, they were perhaps the only business compromise that could win support from every stakeholder. In the end, all the legacy American brands simply had too many dealerships. That problem really didn’t get solved until bankruptcies and wholesale elimination of brands thinned the field of dealerships. Had one of those wheelcovers as an ashtray when I was in tech school. Roommates and I sourced it from an Omega of this vintage. I’ll never forget how heavy and solid that thing was. Never ever (as in never) made that connection before. This was intentional? There’s one for every make. Not saying I agree. Don’t forget the S – Seville. The V and A became S and P for Skylark and Phoenix. Then for 1980 X cars, it was COPS. I remember seeing these up close when my Mom was car shopping in 1974. In mid summer, the Olds dealer was all out of Cutlass sedans. She test drove a base 88 sedan, but it was more car than she wanted. She never, for not even a moment, considered one of these. It was off to the Pontiac dealer for a Luxury LeMans. In the car’s defense, it was the only vehicle in the Olds (or Pontiac) showroom that year that felt and sounded like a GM car when you opened and slammed the door. The 71 B/C body and the 73 Colonnade mid sizer made changes to the body design and door latch hardware that eliminated that vault-like door slam that GM cars had been famous for all through the 1960s. Also, that old-style pushbutton exterior door handle was a masterpiece of ergonomic engineering. It probably cost no more to make than the designs of Ford or Chrysler, but there was something about the shape that felt like a million bucks in your hand. My brother had a ’74 Nova hatchback, and I know what you mean about the doorhandles, and the doors, for that matter. The old GM thumb-button doorhandles and those heavy doors had a really quality feel to them, on an otherwise unimpressive car. You nailed it regarding the GM door-handle. As the resident ’71-6 B-body & ’73-’77 A-body dork in this community, I can attest to the loss of structural integrity that coincided with the loss of the classic handle you are speaking of. It’s sad when a worn out ’69 Impala convertible door is easier to close than the door on a low-mileage ’73 Bonneville 4-door pillared sedan. This reminded me of another asinine feature of these X-body cars. The door hinges are actually welded to the doors & body pillars, making them non-serviceable. The only way to replace doors on these cars is to pop the pin out: absolutely ridiculous. This means that worn out door hinges on these cars cannot be repaired without some sort of torch and chisel action. This awful feature also ended up on the Chevette, first generation S-10, and ’88-’97 full-sized Chevrolet truck platform. That just seems like really bad engineering. How in hell did they adjust the doors properly at the factory for a tight fit? Oh, wait. . . .
What I want to know, is how is the couple going to get their Omega out of that river? I like to imagine that they’re looking at a map and he’s softly whispering “I told you so” in her ear. With the Rocket 350, that will be easy! Much wheel spinning up the bank of the brook . . . but . . . they’ll make it! Leaves and twigs akimbo . . .
GM did push one of these into the Cadillac showrooms: it was called the Seville. Even had an Olds V-8. Those hatchback shots make it painfully obvious this was an Oldsmobile Nova, just like my old beater ’73. But Oldsmobile never made a Spirit of America edition! 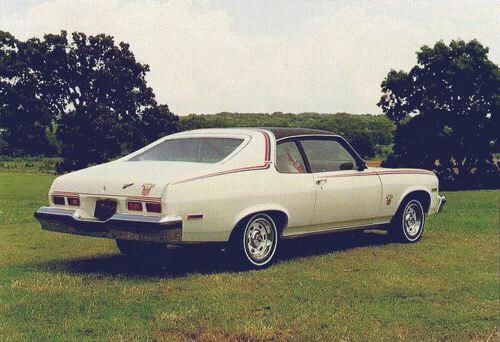 A high school buddy of mine who went to Marin Catholic had one of these “Sprit of America” ’74 Nova hatchbacks. White vinyl seats and red carpet. 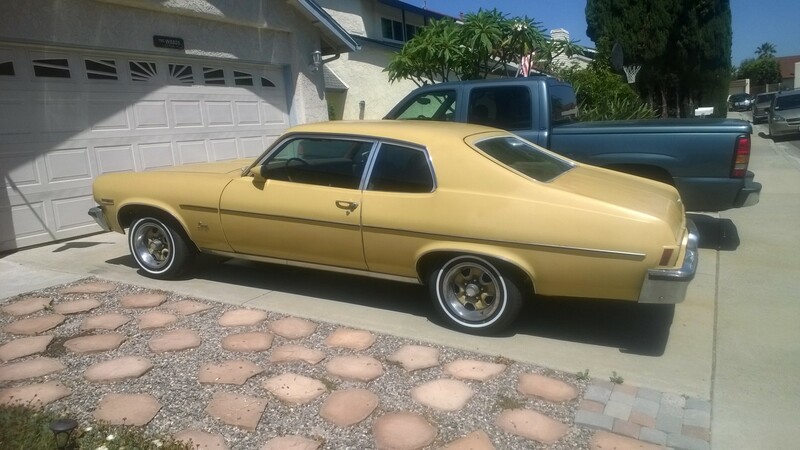 350 4bbl and it had a four-speed (car came from Pennsylvania – ’74 California cars only had the 3-on-the-tree – like my driver’s ed ’74 Nova – or THM. Went pretty damn good. For the Omegas of the day – the ’73 and ’74s I remember seeing were usually coupes/couper hatchbacks and usually were dressed up with the wet-look seats, vinyl tops (usually black), the full Cutlass wheel covers and whitewalls. Seville was badge-engineering done *right*. It was a good car, even though based on the Nova. It was its follow-up that GM botched. Instead of using the time, goodwill and cashflow it generated to build a true MB-beater, they produced the horrible bustle-back. Today, thirty years later, they still haven’t made a MB-beater car. Mercedes caught up in aircon and cushy ride before Cadillac caught up in compact size. Of course, now that MB is under siege by BMW and Audi, Cadillac is busy chasing BMW. Will they ever learn? Coupes were the big sellers in compact class back then. Anyway, the RWD X bodies were one of GM greatest hits, and the Nova is beloved by hot rodders. An Omega could get an Olds 455 dropped in easily, since the block is the same exterior size. There is no Olds “big block”. Also, there was increased demand for smaller cars, even before Gas Crisis I, so these were not “shoved down dealers throats” as big car purists assume. Olds dealers were happy to have them once OPEC cut off oil. Ford and Mopar get a pass with their badge engineered compacts, but GM is derided? The Dart and Duster/Valiant are loved, but no one compains that they look alike. While GM’s Nova’s are trashed? GM dealers needed compacts for that time, and I think they put the the FWD X successors to shame! I just realised this, and I’ve been known to be wrong before, that if anyone in the US was supposed to build cars that beat the foreign competition into submission, it was GM. GM had developed such a formidable reputation in the past decades that everyone expected them to pull the rug out from under the German luxury makers and Japanese economy champions just as they had demolished all earlier competition. Ford and Mopar are given a pass because they were seen as also-ran underdogs that deserve sympathy. GM was the champion, and was *expected* to outdo itself, just as it had done for generations. I still expect them to pull off a miracle, and have been satisfied with some of their recent cars, but then I may be biased. I have no evidence beyond circumstantial, but if I had to take a guess, Oldsmobile dealers would have rather had a unique product. I can’t imagine there were many stand-alone Olds dealers in the 1970’s, so imagine having three nearly identical badge-engineered X-bodies that you’re trying to move, that are plenty low profit, compared to the big 88’s and 98’s. Ask any dealer if they wanted to try and sell the Omega, and I’ll be the answer was no. Ask them if they needed them as loss-leaders to get people in the door, and the answer is probably yes. 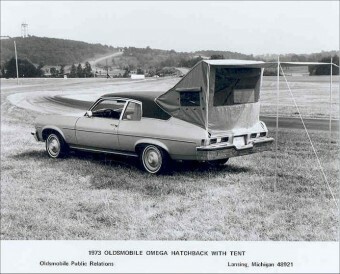 There were alot of stand-alone Oldsmobile dealerships through the 70’s and 80s. Here in Miami we had Cooper, Fincher, Hebert, Koons and Jeff Crippen, all single franchise Oldsmobile dealerships. Just to follow up on Carmine’s comment, almost ALL car dealerships were stand alone back then. With the exceptions of Chrysler-Plymouth and Lincoln Mercury, but those were intended to be that way from the start. Most often GM dealers got a higher or lower line to add in. But not always. It was very strange to see one of our local Chevy dealers go with a Toyota dealership on the same lot, back in the early 80’s. The GM standalone dealers were certainly the rule, at least in moderate to larger cities. But in smaller communities, I used to see an almost random mix and match approach, certainly for the Divisions other than Chevrolet. In Muncie Indiana there was an Olds-Cadillac dealer (Bradburn). I vaguely remember a GM dealer in another small town that carried all of the GM car divisions but one. But get into a city of over 50K, and there were no duals. Well before this car debuted, Oldsmobile and Cadillac were often paired at the dealer level, except in the larger cities. Through the 1950s, Cadillac sales tended to be concentrated in larger metropolitan areas. The brand simply didn’t generate enough sales in smaller towns and rural areas to keep a dealership in business. In smaller towns, such as the one where I lived, it was not uncommon for one dealer to carry several GM brands on the same lot. Our local dealer carried Chevrolet, Oldsmobile and Cadillac, and did so in the 1950s and 1960s. Today it carries Chevrolet and Cadillac. The neighboring town, which was larger in population, had two GM dealers – one had Chevrolet and Oldsmobile franchises at the same facility, while the other combined Buick, Cadillac and Pontiac franchises. Recently one dealer bought out the other, and now it survives as a Chevrolet-Buick-Cadillac dealer. That still applies in some places, I remember the first time I went to Key West and saw what is the southernmost GM dealer in the US, which sold all GM brands at one dealership, first time I had ever seen that, it was a very busy sign. Ditto in the immediate San Francisco Bay Area. Scripture Olds in San Rafael, Van Ness Olds in San Francisco, Connell Olds in Oakland. As you got into the more rural/country California counties then you saw Olds doubled up with Pontiac or Chevy outlets. Most of the Omegas I saw in my youth usually had a “Van Ness Oldsmobile” dealers frame on them. Can’t recall ever seeing Olds and Pontiac paired together here in NJ, only Olds/Chevy or Olds/Cadillac. Back in the 1970s, GM still had “divisional dealer networks” for which all divisions had nothing but stand-alone dealerships in cities of 100,000 or more, usually Buick or Oldsmobile paired with Cadillac; or Buick, Olds or Pontiac dealers also selling GMC trucks. Chevrolet also had mostly stand-alone dealerships in small towns and large cities, but in cities of 5,000-25,000, it was common for Chevy to be paired with Oldsmobile or Buick. In such-sized cities it was common to have a Chevy dealership, followed by a Buick-Pontiac-GMC house, and then Oldsmobile-Cadillac. In Canada, GM had two dealer networks – one selling Chevrolets and Oldsmobiles and the other selling Buicks, Pontiacs and GMC trucks. Cadillac dealerships were not common north of the border but most often paired with Chevy-Olds though a few Pontiac-Buick-GMC houses sold Caddies. Not to nitpick…but the Oldsmobile 455 was physically taller & a tad wider than its little brother. I think the lower end was identical & the mounts were in the same location which made swappage easier. Accessory brackets are different & only a few pieces will interchange due to the differing deck height. 455 engines installed in Cutlasses had special notched valve covers to clear the A/C box. I imagine a similar cover would be required in the X-body car. Of course people installing 455s into Omegas probably weren’t too concerned about the A/C box to begin with. It’s really hard to tell the difference between the Buick 455/430/400 and the 350 as well. Crazy–I just saw a brown 4-door for sale at a dealership in Minnesota the other day! I passed it on the highway and could not mentally conjure exactly what model and year and I click on CC and here it is–uncanny. Looking at the close-up front pic, 2nd from the top, I “see” a trace of Vega in the lines, especially in the fender area. I well-remember toting those surprisingly heavy hatches for the hatchback model. We would sell the entire hatch when needed by the customer or, if they only wanted the back window… they got the hatch, too. No choice. Take it or leave it but we would sell the entire assembly at the back glass only price. We told them to lean it against their garage or wherever and keep it if they ever needed it and if they ever sold the car to toss it in with the deal. No one ever walked away. Those things were oddly shaped and did not store well… taking up twice the space of hatches without the curves. And thus ends another exciting tale of the dregs of society working for little while ensuring USA society remained mobile. Weren’t the struts that held these hatches up really long coil springs encased in a tube? From the cars I’ve seen the hatchbacks had some severe rusting issues in the taillight area & the sun was particulary damaging to the interior plastic. Too bad GM didn’t use vinyl-covered metal trim like they did on some of their earlier vehicles. The cargo area did not seem very deep on these either. 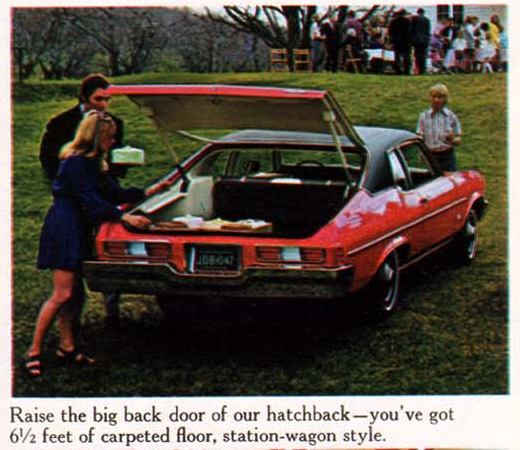 I think that size rear wheel drive hatch is viable today. Too bad they stopped. This was a versatile chassis and size. I want one for my driveway. Again, California may have been different, but my rusty 35 year old memories tell me that these Nova variants were pretty popular here. I worked with a guy that had a 4-speed hatchback Apollo. I’m pretty sure it was the only Buick in the parking lot. Wow, the haterade came out for this one. I guess I didn’t expect so much effort to be spent lambasting this car; we all know that this was well into the badge engineering phase of GM in the early-mid 70’s. I think this one has held up rather well for an almost 40 year-old car that appears to be in daily or near-daily use. Out of the four domestic compact cars at the time (Nova & clones, Maverick & clone, Dart & clone and the Hornet) the RWD X bodies were the best ones. I owned three of the four, and was in all of them at one time or another, as these were the cars we owned when I was growing up in the late 70’s. Someone further up in the string mentioned about BOP dealers wanting a smaller car to make up for the loss of the “sell-up” models. In some ways, that attitude did more damage to GM than anything GM management ever did; but I guess back then no one would have imagined a Chevy-Olds-Cadillac dealership like became common in the 80’s. I’d like to have the post 1975 versions of any of these cars, as they share a lot of suspension pieces with the same era F-bodies; it could be a really fun ride. Maybe an LSx swap, too? That maybe was true, but look what they later ended up with: the Cimarron! No one escapes malaise…it was a deadly disease. A Nova was a Nova and I wish they would have kept it that way. It looks more like a Buick Apollo than a Cadillac Noville. my parents had one of these garbage-y Omegas. 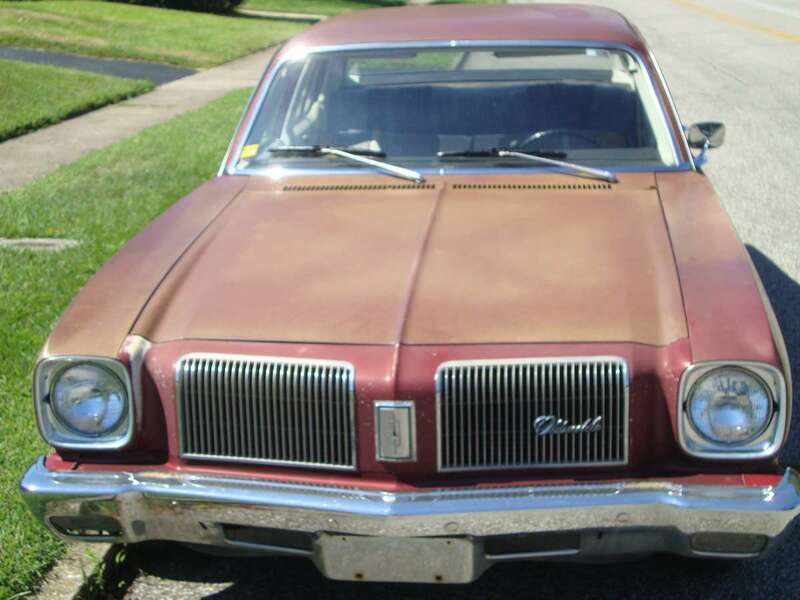 By the time I was cognizant of cars, this one (a 1977) was so rusted that neither door would close or lock properly. Not long after this car was shipped off to the wrecking yard, mom and dad got a k-car which they much preferred. 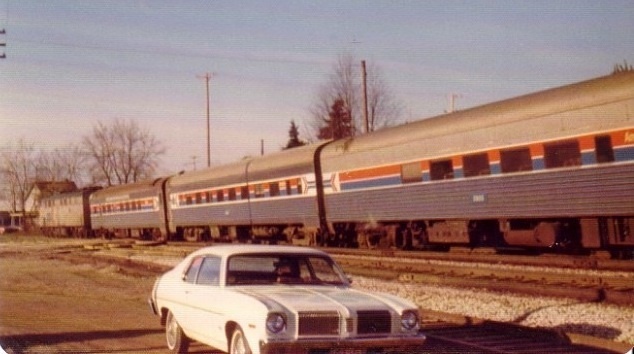 Our 1973 Omega as an Amtrak Train passes by in 1974. Car was delivered in December 1972 from Story Olds in Lansing, Mi as a wedding present from my parents to my wife. 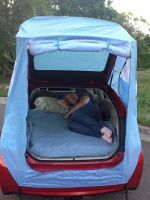 We had the hatchback tent too. Several nice trips around Michigan and to the west. 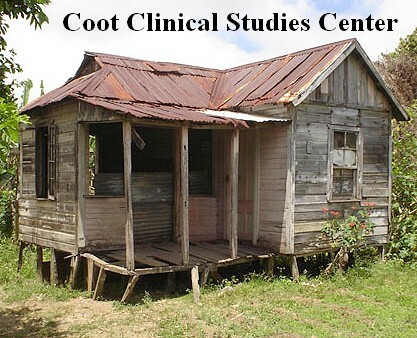 I found this one on craigslist, only 49,000 miles with plenty of options. We plan on restoring since there are not too many of these still out there. Perhaps because of them being so unpopular? 350 V8, sport mirrors, tilt wheel, chrome rocker molding, hatchback, bucket seats, floor shift, factory air. It wasn’t unpopular but it wasn’t as well known as the Chevrolet Nova. Those sold a ton, even though it was the same body style. Remember, this was before the internet. You had to shop around, and maybe you would see this by accident or otherwise, in a magazine or advertisement or whatever. I notice that you have one with chrome around the windows and below. This was an added option. You also have the sport mirrors. This makes it very rare. Even the side moldings. Whoever bought this car, sure spent a lot on the options. If you took this to a Chevrolet car show and said it was similar to the Chevrolet Nova you may even get some great offers. The are basically the same, although there were some exterior and interior differences. I’m no expert of course, but I know there were some differences. This body style was not at all unpopular, I remember seeing them in the los angeles area a lot when I was a kid. Up until the late 1990s perhaps. Then they all sort of disappeared it seems. Thanks for the input Dave. I didn’t mean to say that the x-body was unpopular, but I’ve read on the internet that some people felt the Omega might not have been as popular amongst the 4 x-body options, (Nova, Ventura, Apollo, Omega). We plan to continue working on restoring the car. I figure by the time my son is my age, there should be very few of these on the road with the value going up on account of the limited numbers still in existence and the extra options that you mentioned we have. You’re welcome. Of course anything related to an Oldsmobile is collectible since they don’t even make that brand anymore. Since some of the parts are interchangeable with the Nova, it shouldn’t be too hard to find certain replacement parts. I notice you don’t have the Oldsmobile badge behind the rear windows. I guess that may have come in later in production or was not put on this one. 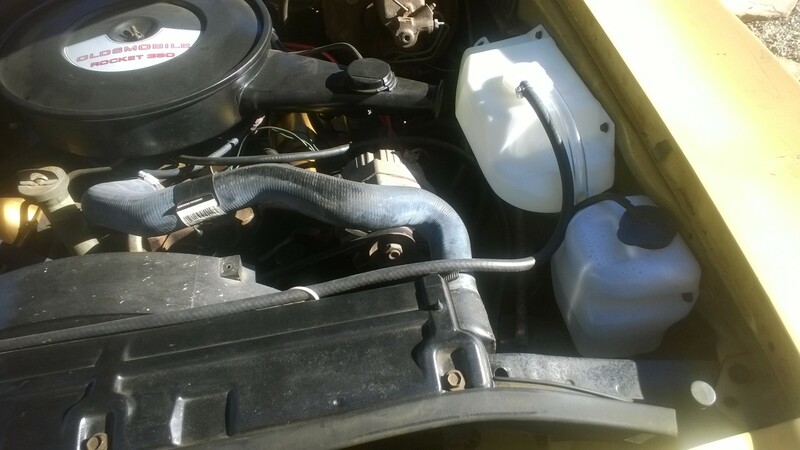 Yes, that is the nice part is that there are many parts interchangeable with the Nova’s, just last week I got this coolant overflow tank from Classic Industries who carries Nova parts. Dave, regarding the Oldsmobile badge behind the rear windows you mentioned. So far I’ve only see badging on the front grill, rear hatch/trunk lid, and on the lower front fender by the door. I have seen badging on the Nova’s and Ventura’s by the rear side window that would say ‘hatchback’ if it was a hatchback model. I’ve also see a ‘350’ badge on the front fender by the parking light on the Apollo, Nova, and Ventura, but have yet to notice any ‘350’ or ‘hatchback’ badging on any Omegas I’ve seen on the internet. Dave, is this the badging you were referring to on behind the rear door? This is a 1980 Omega with an Omega badge in that location. It probably was in the 1974 model year Omega. Here you can see a couple images I posted. You can find it yourself, if you click on the images section after typing in Google. 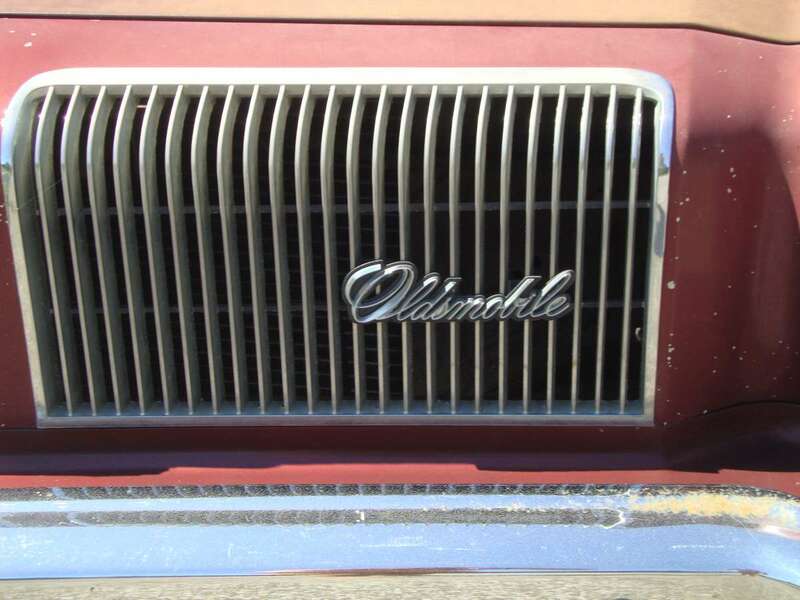 Oldsmobile Omega 1974 “images” in google section. This is about all I know of that I told you. 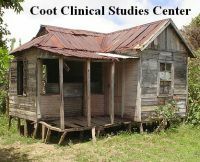 I do know they had a hidden antenna under the roof if you had a radio. You can find all this information and Oldsmobile clubs and blogs just by searching it in Google basically. 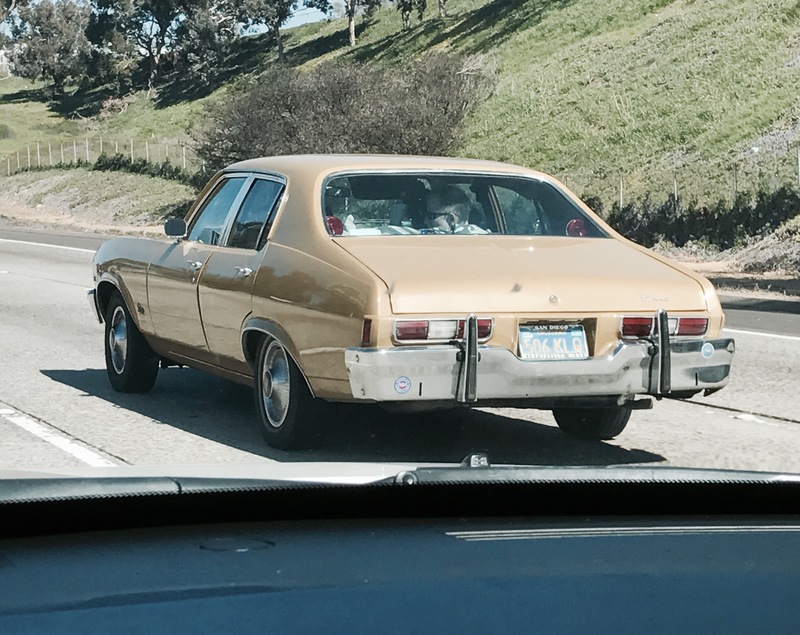 RE: Metal dealer badges: I can still recall the Holy Hell my Father gave the salesperson when he pulled my Mother’s brand new ’76 Cordoba up to the dealer’s plate glass window and Dad spotted the metal dealer nameplate on the left side of the trunk lid, secured with two posts and nuts! I had seldom seen my calm, polite Southern Baptist Dad loose his temper to that degree! Delivery was NOT accepted, Dad made several loud, impolite observations about the dealer’s parentage. Red faced and squinty eyed with anger, He stood in the garage door of the dealer’s “New Car Get Ready Department” and watched them swap out a trunk lid with NO metal free dealer advertising next to the tail light. The embarrassed salesman knocked a hundred off the price of the car and filled the gas tank up with Amoco White gas. The metal dealer plate on our 74 Montego ( I still have the plate) was glued on. It stayed on until the repaint in 95.
nice well maintained first generation Omega, I’ve only seen one first generation 4 door Omega in my lifetime and always liked these cars, which generation of the Omega’s was the most successful sales wise? I don’t remember seeing too many of the mid/late 70’s Omega’s around and saw a fair amount of the early 80’s Omega’s back in the day. 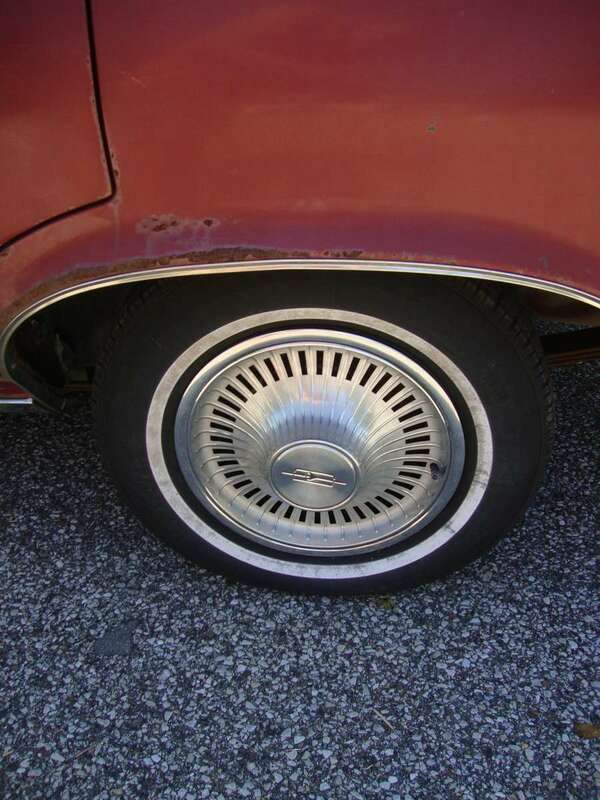 The featured car has the wheel covers similar to those on the 73 -74 Cutlass. Possibly had GM used more Cutlass inspred design clues like the taillights or the lower body swoop they might have sold more. However, they would have all rusted out only in larger quantities. None of the Apollo, Omega, or Ventura looked as good as the Nova however. We always had Chev-Olds or Pontiac-Buick dealers in Toronto, I don’t remember any satnd alone Chevy or Olds dealers. Caddy typically boarded with the C-O’s. That was what led me to always believe that Olds, not Buick, was the marque just below Caddy in the GM hierarchy. By this point, the Oldsmobile compact car has become my favourite car of the 70s, passing the Buick Skylark/Century as the best looking cars. As a kid I never thought anything of it but imagine me picking up my new Mustang and the dealer has drilled holes and attached a metal badge with self tappers. We had a 68 Mercury pickup that the dealer put badges on both sides of the hood, the truck was gone after 2 years but I remember lots of cars with sheetmetal rusted through where a dealer badge had been. I have to really wonder how serious B-O-P dealers were about selling these vehicles, I really think they simply wanted something smaller so they could advertise something like ” You can drive a “________” for prices starting as low as $_________!” In 1979 I was shopping for a new car and wandered into the local Olds dealership asking if they had any Omegas in stock-the salesman immediately started trying to move me into a Cutlass, telling me it rode much better. I didn’t take the bait. Is it wrong to admit that I kind of liked how the Omega looked? I like the looks as well! Like I’ve said many times before, some cars look better as 4dr’s. Novas and their GM clones do not. It’s just one of those bodystyles that work much better as a 2dr. IF they had given the 4drs a longer wheelbase ( like Ford did with the Torino and Maverick) I might think differently. But then the Omega would have been competing in wheelbase and size with the Cutlass. And in that comparison, the Cutlass would win by a landslide. That being said, the Hofmeister-kinked ’75-79s were a BIG improvement and my favorite of those years. It’s too bad they were stuck with the 1968 long hood/short deck hard points and couldn’t revert to the 1962-67 hard points for more space efficiency. 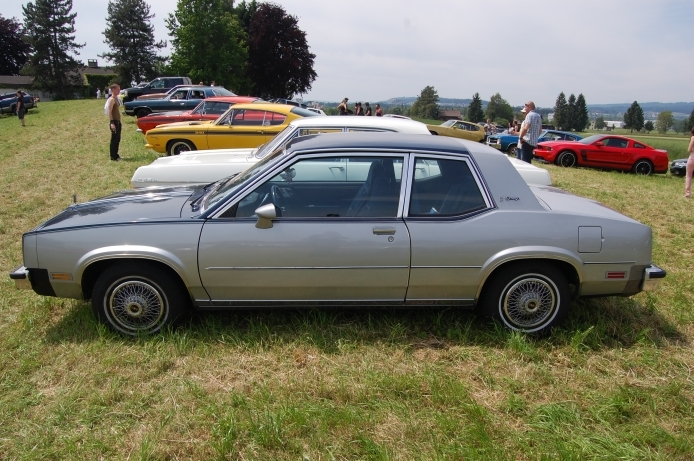 Each of the GM X-body compacts – both 2- and 4-door – rode on a 111-inch wheelbase (only one inch less than the A-body intermediate coupes and the 1961-63 F-85/Tempest/Special senior compacts), while Ford used wheelbases of 103 for 2-doors and 109 for 4-doors for Maverick/Comet and Chrysler built its compacts on wheelbases of 111 inches for most Dodge Darts, Plymouth Scamps (and all Valiants from 1974-76) and 108 for Plymouth Dusters, Dodge Demon/Dart Sport and all Valiants through 1973. 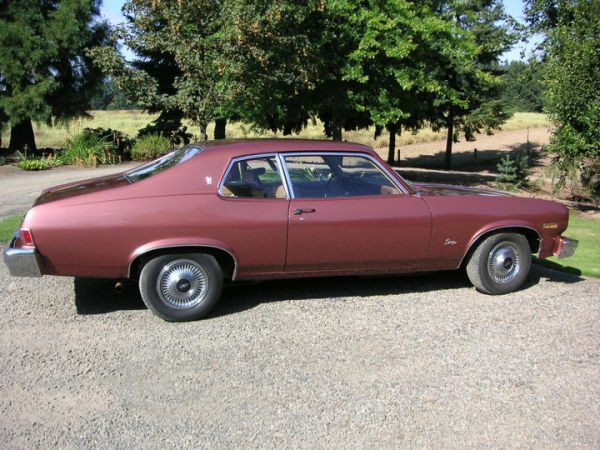 Of course, GM with the 1968 Nova design could have shortened the 2-door wheelbase to the same 108 inches as the Camaro/Firebird and the Corvair while going to 111 inches for the 4-door. All AMC Hornets rode on a 108-inch wheelbase. In this size category, 2-doors outsold 4-doors in most brands by 2:1 or 3:1. The volume was in the coupes. The exception was the Hornet, which had a stodgy 2-door sedan, but the same ratio applied when the Gremlin was figured in. An Olds shopper who bought a new Omega was mostly looking for a personal commuter car (either a single-adult household or a second car), not a family sedan. Hornet was offered as a hatchback with a sporty semi-fastback roofline beginning in 1973, which easily outsold the 2- and 4-door sedans. However the Hornet offered one bodystyle that no other American compacts offered until the 1976 model year – the Sportabout station wagon which was the best selling Hornet model. I liked the looks of these cars, especially in coupe form with the rally wheels and exterior trim. I have often read about the CC Effect… read about a car here and then see one in the wild within a short amount of time. Here in SoCal, so many cars are still on the road I’m somewhat dull to the effect. But today… just after reading this article this morning, look at what I happened to spot in traffic on my lunch break. Holy moly!!! CC Effect strikes me big time. It was being piloted by a guy and gal (I assume a married couple) in their 60s. And he was moving along at a good clip, about 70 mph. Took me a while to catch up to snag the photo. A few years later (1975??) when the Plymouth Valiant Brougham (yes, I know, a contradiction of marketing terms) and the Dodge Dart Special Edition emerged with thick, luxurious velour interiors, comprehensive sound deadening, lavish exterior chrome and vinyl tops were introduced I can’t recall anyone in my middle class suburbs buying one of the Nova clones. The Maverick LDO and similar Comet Custom came out in mid-1972. In addition to the more upscale interiors and additional exterior trim, these cars also came with reclining bucket seats and radial tuned suspensions – sort of a Pontiac Grand Am or Olds Cutlass Salon in a much smaller size – particularly with the optional 302 V8. The Valiant Brougham and Dart SE debuted in mid-1974 with mostly trim upgrades such as velour bucket seats with center cushion and armrest and storage pockets behind the seats like in a 98 Regency, along with more woodgrain trim, carpeted lower door panels and color-keyed wheelcovers plus standard automatic transmission, power steering and power brakes. GM’s upgraded ’75 compacts were similar to Fords and Chryslers upscale models but also competed with the new Ford Granada and Mercury Monarch which raised the bar on “precision-sized luxury cars” by offering even more big car options such as power windows and seat, leather upholstery, cruise control, automatic air conditioning, etc. The GM compacts of ’75 now offered all the upscale options except leather seats and Comfortron air conditioning – the new Olds Omega Salon was basically the Cutlass Salon in a smaller size with RTS, reclining bucket seats in cloth or vinyl and so on – it was replaced by the Omega Brougham for 1976 which came with standard bench seat or optional buckets and less sporting than the Salon had been.